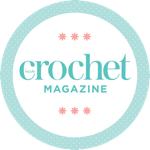 Introduction – My "Round Tuit"
I’m an aspiring crafter – so far I have a fair few supplies and very few completed projects (Confessions of a hoarder anyone??). My problem is that I keep finding fantastic project ideas all over the internet and my poor Instapaper account is overflowing with all of the ideas I’ve saved. So I needed a better storage option that was going to be searchable and that I could organize into categories. I’ve had a WordPress account for ages so I figured – what better way to store my potential projects than to put them into a blog where I can share my project to-do list, my progress, my results and any tweaks or updates I make. You can find my step by step “how-to” on Snapguide.